They are so closely related, one might not be enough to support a separate topic, but together they could be. who uses hairpins to do broomstick because it is less awkward - certainly easier to carry about. Hairpin is only similar to broomstick in the fact they both produce loops. 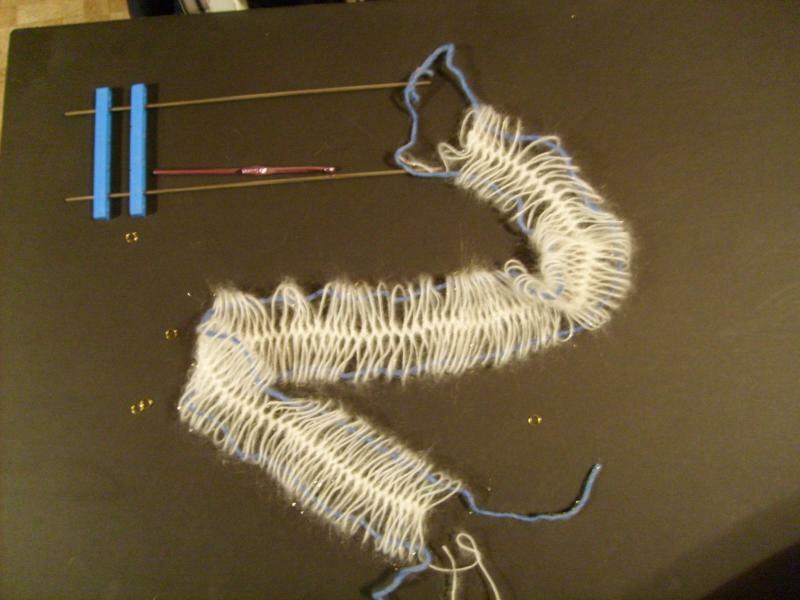 The process of producing those strips of lacey loops are far from similar. 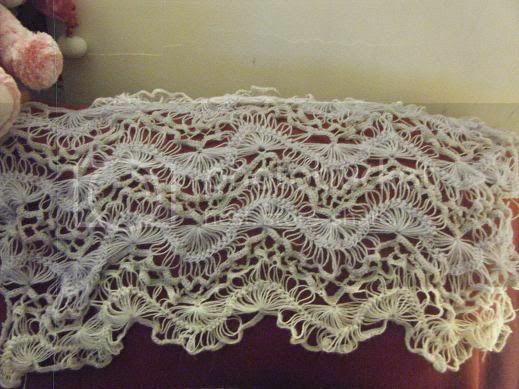 Whereas broomstick makes rows of loops with a crocheted base, hairpin makes two rows of loops (top and bottoms with a fancy knot like stitch in the center. 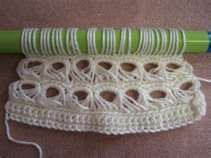 Broomstick is easier and you can work one row broomstick, crochet loops together and add the next row of loops right on top of it to create a full piece. Hairpin is a little more complicated and you cannot add another section on top due to the fact the loom has to be turned constantly (a little difficult when a large piece is hanging from it). 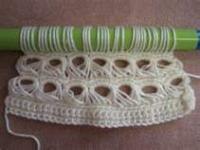 The hairpin designs usually require you to complete the strip/strips and then join them when they are off the loom. I love the idea of a hairpin section too... I learned how to do basic hairpin strips and would love to see discussions to take me to the next level/step.